We are all hip-deep into the holiday of gifts and giving. Maybe we think we understand what that is all about. And maybe, just maybe, we haven’t really given it much thought. I had all kinds of ideas and things to say about the difference between giving and generosity when I found an old article I had saved from “Real Simple” magazine, 12/2004–1/2005 issue. It was written by the editor and said everything I wanted to say but so much better. So I’ve decided to just print the whole thing in total. It is from the heart, true, and a wonderful piece to keep us all thinking those good thoughts to get us through the next 10 days. “By the time a woman reaches a certain age (30 for most, depending on degrees of maturity and self-involvement), she is usually fairly skilled at gift giving. If she doesn’t plan ahead and buy presents year-round–the black-belt level of gifting–she at least knows that Uncle Bob collects fishing lures and never wears collared shirts and that her next-door neighbor could use a new trowel. 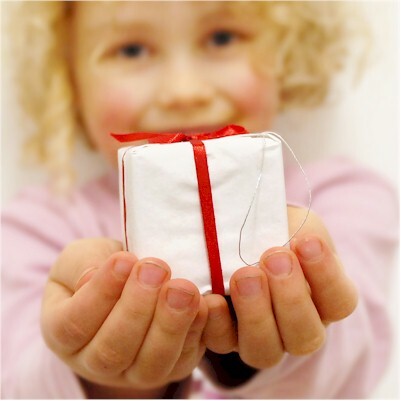 By the time we are 30, most of us know that giving is an art, and that there is nothing quite as mortifying as giving badly: giving with so little thought that the gift is inappropriate (or inadequate) for the recipient and therefore embarrassing for the giver. It is the absence of generosity. Because there is giving, and then there is generosity, and there is a difference. Giving without generosity is like cotton candy–all form, no substance. Generosity is not about money; it’s not quantifiable, and you can’t put a price tag on it. It isn’t a token; it’s an expression of selfless regard. As I write this, my husband and children and I are temporarily between houses. When we were about to sell our house and faced the prospect of living in a residential hotel in a neighboring town for upwards of two months, I mentioned to a friend that we were looking for temporary digs. Without missing a beat, she said cheerily, “Just move in with me!” Now, Kim knows my family well enough to realize that inviting us to live in her house involves not just two children and two adults but also miscellaneous musical instruments, large homework projects requiring big pieces of posterboard, two rabid sports fans, a clumsy adult who routinely gets up while it’s still dark outside, requests for pasta every single night of the week, and too many pairs of soccer cleats to count. Not to mention–and I’ve learned this only from staying with Kim and her kids, in close proximity–the fact that we are all VERY LOUD. This is a woman who has spent hours, days, whole weekends, with my family; she should know better. This entry was posted in In the Village and tagged generous, gift, heartfelt, life, more, party by The Village Granny. Bookmark the permalink.